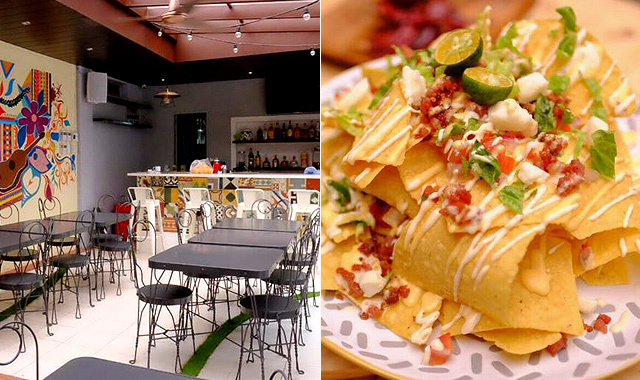 A few new things to try east of Metro Manila. (SPOT.ph) Apart from being the shoe capital of the Philippines, Marikina is known for all the restaurants constantly popping up all over the city. Lilac Street has always been the destination for food finds in this particular "neck of the woods", but there are other places beyond this long stretch that's worth a visit. 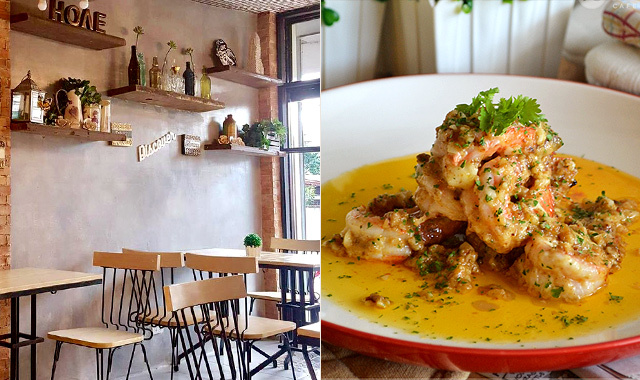 Here, we round up 10 new restaurants that you shouldn't pass up on when driving east of Metro Manila. You haven’t seen massive burgers until you’ve seen the ones from Signature Burgers. The way each burger is presented is quite commendable too! 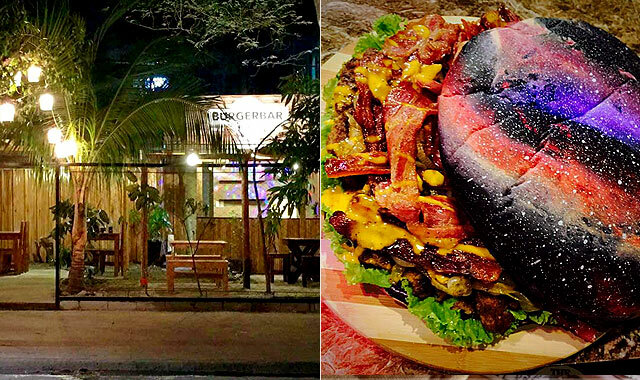 There’s a Galaxy Burger, a cross between a doughnut and a burger; the Duterte Burger, made with layers of fries, meat, and other toppings that can feed up to 10 people; and many other options that you can sink in your teeth into while relaxing in the restaurant's chill, al fresco space. Signature Burgers is at 15 Col. Divino Street, Santo Niño, Marikina City. 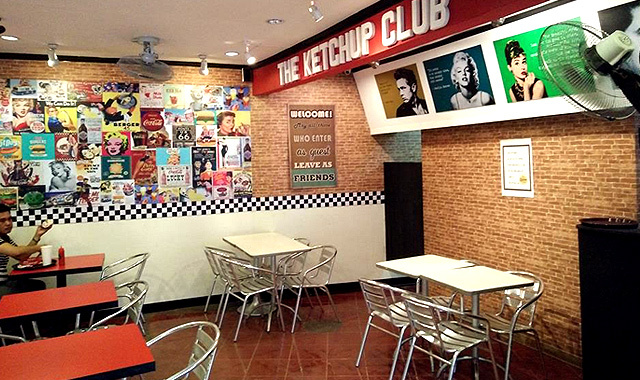 The Ketchup Club is a New York-inspired diner along J.P. Rizal Street. The walls are covered in posters and photos of famous personalities like Audrey Hepburn, John Travolta, and Marilyn Monroe, matched with checkered floors and bright red booths. The Ketchup Club's menu is composed mostly of burgers and milkshakes, but the pasta dishes are quite tasty, too. The Ketchup Club is at 502 J.P. Rizal Street, Malanday, Marikina City. Affordable rib-eye steaks? Overloaded pizzas? Crackling pork mask? Say hello to Bert & Dan’s Garage, possibly your newest favorite lunch destination. Their menu is well-curated, with the range of salads, pastas, burgers, pizzas, fajitas, steaks, and dessert to choose from. 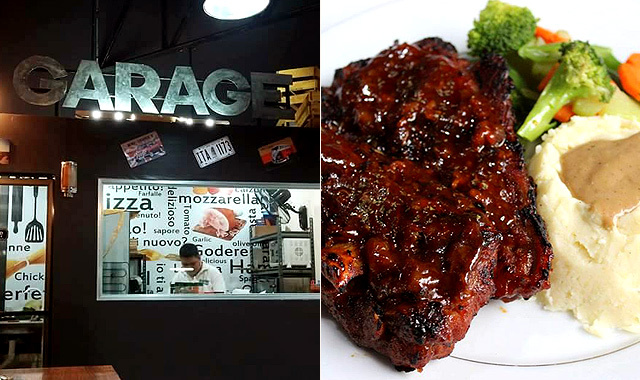 Bert & Dan’s Garage is at Aquilina Street, Near Marikina City Engineering Office, Santo Niño, Marikina City. Hippie Tipi doubles as the thesis project of entrepreneurship students Donna Amper, Kianna Orias, and Pauline Nicola. Incredibly hands-on, this trio handles everything themselves—from cashiers, to waiting tables, and managing the kitchen. Their aesthetic edge relies on the adorable teepees they’ve set up, creating a casual and double tap-worthy date place for friends or couples. Make sure to try the lasagna and mocktails! 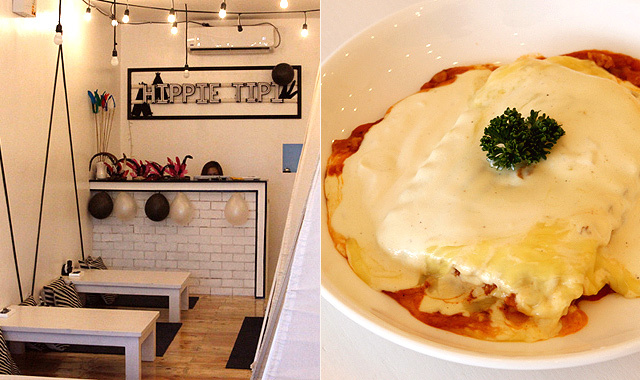 Hippie Tipi: Pizza and Pasta is at Unit 7 Bennt II Building, 73 Lilac Street, Concepcion Dos, Marikina City. 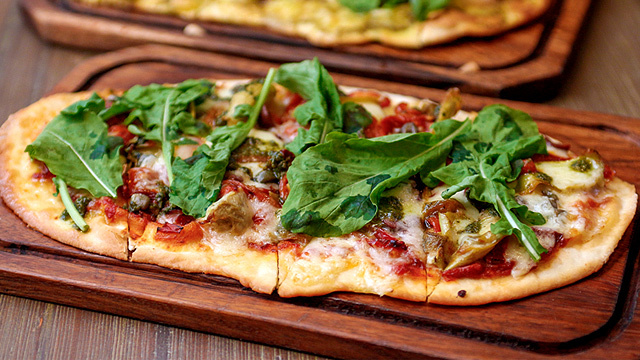 Read more about Hippie Tipi: Pizza and Pasta. With the chilly weather we’re having, sometimes all you want is the comfort of a hot, steaming bowl of ramen. 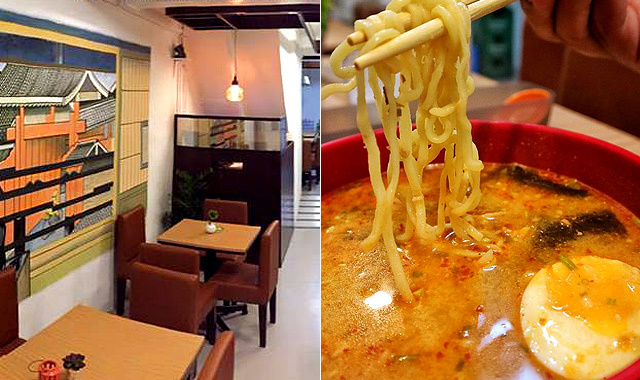 Gokinjo prides themselves in making their own noodles, steering clear of instant ones for an authentic ramen experience. While you’re at it, gorge on their maki rolls and tempura selection as well. Gokinjo is at 43 Rainbow Street, Concepcion Dos, Marikina City. Located inside Montare Events Place and Food Hub, Heat Stroke Grill serves delicious rice meals that won’t burn a hole through your wallet. 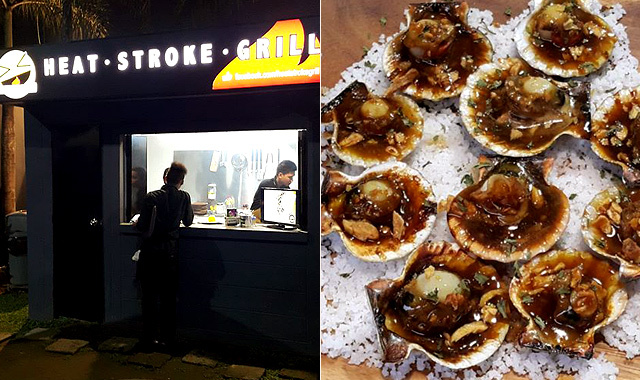 Don’t miss their version of Pork Belly Inasal and Chicken Sisig, and Grilled Scallops are juicy, buttery and garlicky. They’re open until midnight to cater to the awake and hungry. Heat Stroke Grill is at Montare Events Place and Food Hub, Mayor Girl Fernando corner Aquilina Street, Santo Niño, Marikina City. What could be more laidback than dinner on a rooftop with live music playing in the background? 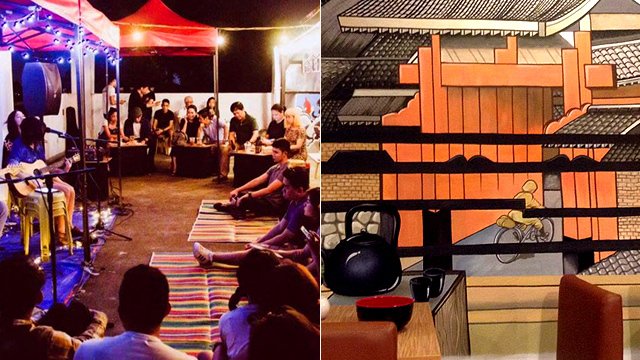 Jess & Pat’s is a must-visit for those who dare to try the open mic, whether it’s for singing, playing instruments, or spoken word poetry, with a hugot-themed menu to complete the experience. Jess & Pat’s is at 3/F MEC Building, 2 Pitpitan Street, San Roque, Marikina City. 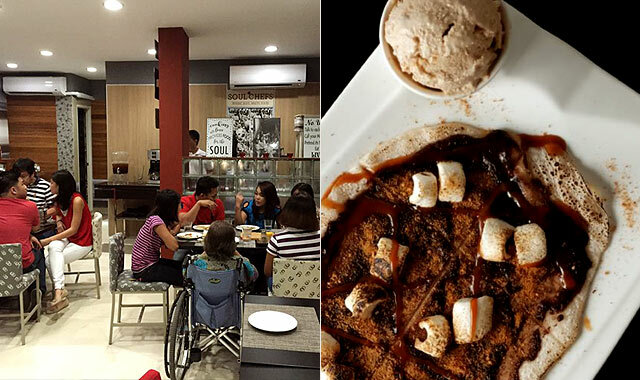 Indulge in S’Mores Pizzas and Mango Salted Egg Salad over at Soul Chefs. The space is quite small, but you won't really mind with its lively ambience and cheery staff. It’s a promising new place that’s slowly but surely attracting a steady stream of guests who are on the hunt for quality food at affordable prices—which is exactly what Soul Chefs has to offer. Soul Chefs is at Lilac Street, Concepcion Dos, Marikina City. The word bodega is usually associated with a dark, musky place, but Bodega Casa Villa seems to be the opposite. The walls are painted with vibrant murals and even the counter is a collage of bright, patterned tiles. The menu is diverse enough to cater to lunch, dinner, or even post-work drinks, highlighting an assortment of Filipino, Spanish, and Mexican dishes. Bodega Casa Villa is at 48 Dragon Street, San Roque, Marikina City. Homemade gourmet meals are what you’ll find at 75 Lilac Café + Kitchen. The interiors are rustic, made homey by the lush potted plants and sunlight peeking through the floor-to-ceiling glass windows. 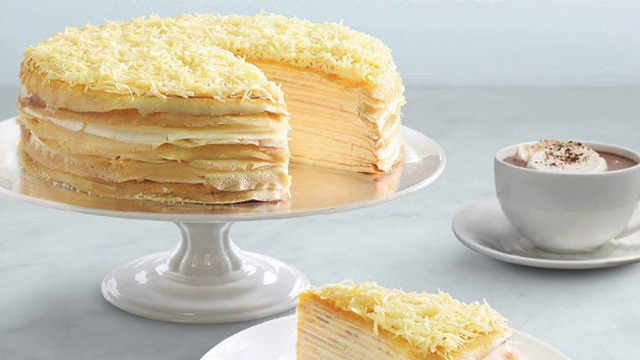 They cook up hearty all-day breakfast items, as well pastas, pizzas, sandwiches, and some heavenly, freshly baked pastries for dessert.